We are famous for having the purest water in the area! How do we know? We test it (and other brands) regularly for purity. The water machine is a 14 stage reverse osmosis water purification system. It utilizes several distinct types of filtration, chemical and heavy metal removal, and anti microorganism removal methods in ensuring thorough purification of the water. 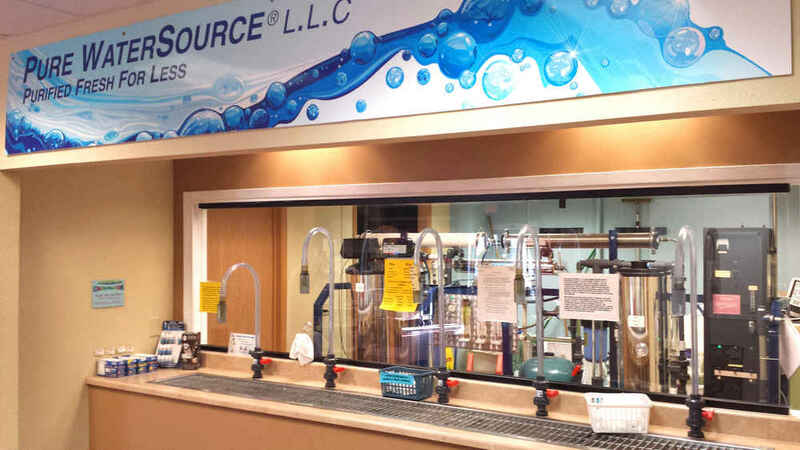 Some of those methods include: water softening with brine, ion exchange, carbon chemical removal, reverse osmosis, ozonation of the water, UV light treatment, and a 10 micron filter among various other filters and processes. 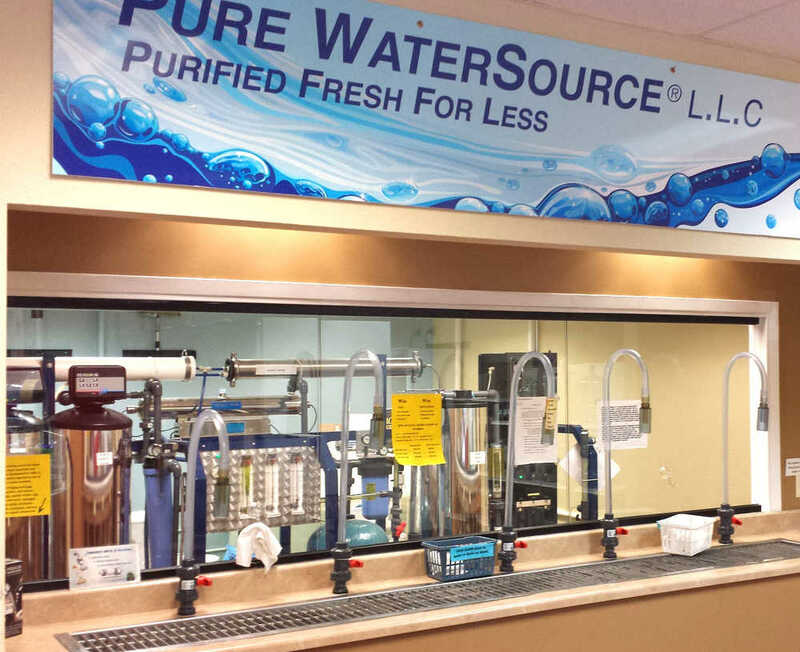 Most other water filtration systems in Aberdeen, including the units you see in most grocery stores and home filtration systems, use only 2-3 stage filtration systems with rudimentary filters with only marginal resultst. They typically include a low grade reverse osmosis filter, a carbon filter, and a sediment filter. None of these systems harbor the benefits of water softening, ion exchange, ozone treatment, UV treatment, or redundant filtration. The water purification system was designed and built by a small two-man business team in Colorado, and it is one of only a handful of these systems ever built. Bring your own jug or buy one of ours and refill at our water station for .47 per gallon. Each person is allowed to fill any half gallon container once a day for free. Each subsequent refill of their half gallon jug during that day is .24 per half gallon. With the purchase of any sized new jug you get to fill it the first time for free. For your convenience, we offer the option of prepaying for 20 or 50 gallons of water at once in the form of punch cards. We keep your cards on file and mark off each gallon as you need it. Once the water card has been filled we will place it into a drawing, and if your card is picked in the monthly drawing you will be the winner of a new 20 gallon punch card.